Genetically modified organisms – also known as GMOs – are the subject of a hot debate. Even though we’ve been dealing with them for several decades now, GMO foods still make the news headlines. The plants and animals whose genes have been altered by scientists are often related to news about world hunger, environment, economy, health, and even politics. On one side of the argument, critics of GMO foods say they are bad for your health. However, those in favor of genetically improved organisms argue the benefits of GMOs outbalance the potential negative aspects. Supporters add that genetic alteration is one of the best things that happened to science-based innovations. The divide was quite clear in a 2015 survey conducted by the Pew Research Center. It showed almost 9 out of 10 scientists from the American Association for the Advancement of Science consider it is “generally safe” to eat GMO foods. However, more than half of U.S. adults participating in that same survey thought we probably shouldn’t eat them. People seem to disagree about pretty much anything when it comes to genetic modifications. They argue about whether GMO foods should be labeled or not. They debate the long-term effects that producing them will have on our planet. And they wonder about the human safety of GMOs and the negative effects they might have on our bodies. So how can you know for sure you’re making choices that benefit your health? We need to start from the origins to understand the GMO debate, and that means talking about genetic modification. Changing genes isn’t inherently a bad thing – nature does it, too! In fact, you should know that whatever you’re eating, it probably suffered a long chain of changes from its origins hundreds of years ago. Genetic modification refers to accelerating those changes – bypassing many generations – allowing scientists to reproduce stronger, tastier, and generally superior crops. They do that by altering the seeds’ DNA with chemicals or radiation, then breed the plants that have the desired properties. Thanks to these techniques, researchers could create virus-free papayas, stronger corn plants that weather drought, pesticide-resistant soybeans, and bruise-free potatoes. Generally, the ultimate purpose of genetic modifications is to design crops that yield more and cost less. In these simple terms, GMOs represent good news for the food supply, farming, and your wallet. Scientists are still experimenting, but they have already been successful with GMOs rich in extra vitamins, nutrients, and other health benefits. Meanwhile, biotech companies plan to make meat better for us by increasing the amount of omega-3-fatty acids in it. But there are plenty of concerns, too. For instance, people worry about seeds and pollen from genetically engineered plants traveling beyond their fields. If that happens, chances are the next generations of natural crops will also contain GMOs in their DNA. The same concern goes for the outcome of genetically modified animals mating with wild ones. Watch the video below to get a better understanding of the concerns regarding GMO foods. A panel of scientists conducted a lengthy review of research regarding the safety of GMO crops over the past 10 years. Their results showed genetic engineering was not directly linked to any significant harm. 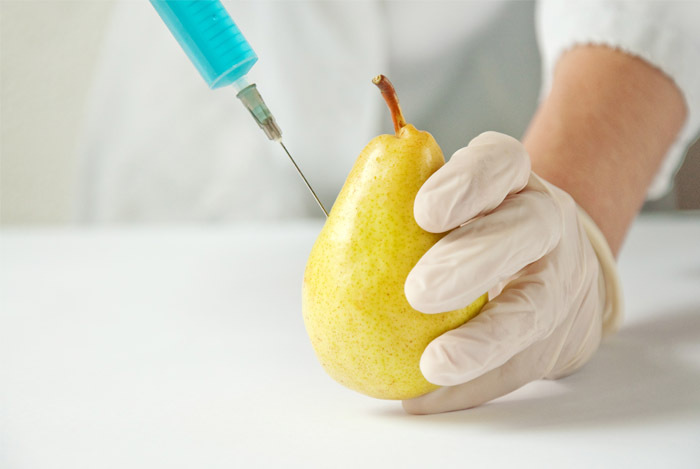 At the same time, the American Medical Association also approves of genetically modified foods. They released an official statement saying that no clear health repercussions were reported or confirmed by professional journals for almost 20 years. Surprisingly, even the World Health Organization (WHO) is on board with GMO crops and foods. However, they did partner with FAO to set up and maintain a set of scientific standards, guidelines, and best practices. Called Codex Alimentarius, it promotes healthy, safe food for everyone. The standards also include genetic engineering and biotechnology. Several governments have used the Codex for inspiration in writing their own GMO regulations. But in spite of all the thumbs-up from these organizations, differences of opinion still exist – even within the scientific environment. Even though GMO foods supposedly received the green light, many doctors are not convinced that a GMO-based dinner has the same nutritional value as non-GMO food. They’re not saying engineered crops are dangerous per se, but they still don’t trust their safety entirely. Can We Avoid GMO Foods? Many of us might not realize it, but we’re probably eating GMOs on a daily basis. If you live in the U.S., you should know that around 80 percent of all processed foods have them. For instance, our sugar comes from beets (most of it), and almost all beets are genetically modified these days. Altering their genes has yielded bigger and stronger sugar beets that last longer even in unfavorable conditions. While the European Union, Australia, and China require the labeling of GMO foods, the U.S. doesn’t. However, some states are trying to pass laws about the sale of genetically engineered food, even though plenty of federal lawmakers are fighting them on it. So how can you be sure of what you’re eating? To stay away from GMOs, opt for fresh, unprocessed foods. Also look for the “USDA organic” or “certified organic” label. But keep in mind the makers of these foods use the tags on the honor system, which means the government has not checked them. Unfortunately, these claims can also appear on food developed from originally altered genes. Don’t trust claims of “non-GMO” and “GMO free.” Scientists and the farming industry are still trying to find testing methods that can be legally supported. The nonprofit Non-GMO Project, on the other hand, can help guide you through the confusion. The organization has independently certified specific foods and products from over 1,900 brands. So if you’re trying to avoid GMOs, keep an eye out for the “Non-GMO Project Verified” seal. No matter what people say or think, the conclusion is quite clear. So far, the overwhelming science votes in favor of GMOs, claiming they won’t hurt us. But further studies are required to address concerns like the possibility that GMOs could cause genetic changes or other serious harm to human health. However unlikely, scientists could find consequences they haven’t thought of before or worst-case scenarios reviewers have yet to consider.